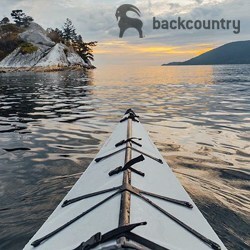 Shop the The best in Outdoor Technology, that will keep you comfortable and safe when hiking and camping. Capture your trip with GoPro cameras, drones and solar power devices to keep your batteries fully charged. Never lose sight on where you are with the latest in handheld GPS devices. If you do get lost send out a call for help with a satellite phone or distress beacon. 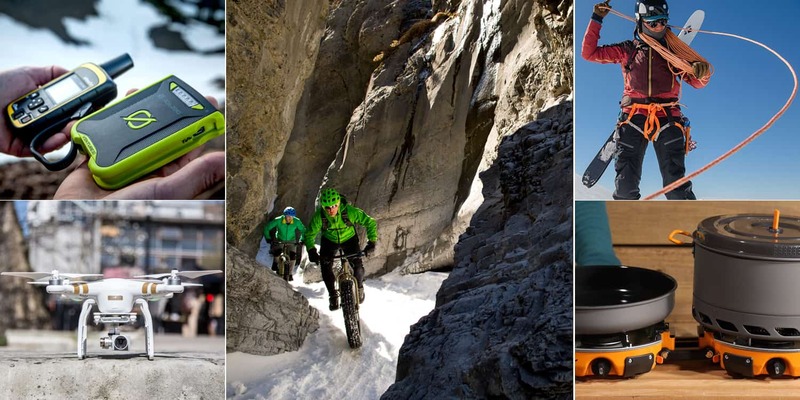 Ski into the back-country and be safe with the best transceivers and avalanche safety equipment. Do it right the first time so you can go back and do it again. Enjoy a weatherproof, rechargeable, and wireless speaker with a built-in mic, that meets the demands of the pickiest, most adventurous audiophile. Big Sound DarkBass™ chamber allows massive airflow for deep, precise sound without the bulk. Mic Built-in Doubles as a rugged speaker phone. Answer incoming calls from your crew. Bluetooth Connect and rock out wirelessly using one-touch Bluetooth technology. Adventure Ready Use the elastic cord to attach the speaker to your pack or ride. More than a phone charger, more than a flashlight; the only all-in-one power solution for your pack. Quick charge phones, POV cameras, and other USB-powered gear, then switch on a flashlight for bright light anywhere, or a fan to cool off. It’s solar-ready and features a replacement, rechargeable battery that powers up from any USB. Protect your GoPro Hero cameras on adventures with the UK Pro POV 40 with Shoulder Strap. ABS plastic, stainless steel, and a Lexan treatment work together to guard your gear from damage, water, and impacts. There are two slots for GoPro Hero cameras, one large compartment for floaties, suction mounts, bar mounts, or more cameras, and five open slots for remotes, batteries, and chargers. UK Pro also added a water-friendly neoprene shoulder strap and a mesh pouch for tablets, cables, and other accessories. As 3DR’s ultimate package for shooting aerial-based footage and cinematic-quality shots, the 3DR Solo Drone and Gimbal Package contains everything you need, besides a GoPro 3, 3+, or 4, to control and capture awe-inspiring footage of picturesque landscapes, action sports, sporting events, and anything else you can think of. No matter how far from civilization you are, the Global Phone’s satellite-based service will be able to get in touch with the wider world, so you can schedule a pickup, organize a rescue, or even just check your voicemail. Destroy harmful waterborne bacteria in your water with the Hydro-Photon SteriPEN Adventurer Opti. The SteriPEN uses UV light to kill giardia, cryptosporidium, bacteria, and viruses in just a few seconds, so you can stay hydrated on the trail without having to worry about getting sick. The Jet Boil Genesis Base Camp System is a compact two-burner stove system that runs on a standard 16.4oz propane bottle and allows you to whip up everything from bacon and eggs for breakfast to spaghetti and meatballs for dinner. The compact design allows the stove to fold together and nest in the included pot for easy carrying up to camp, but also limits the mount of space the system takes up in the back of your rig when car camping. BioLite’s CampStove Bundle is a compact, versatile, and eco-friendly stove that converts the heat generated to cook meals into electricity that can be used to charge your phone, headlamp, or camera. The CampStove burns small sticks, pine cones, and pellets, while the thermoelectric generator produces two watts of electricity and is equipped with a USB port, making it compatible with most devices.